When it comes to cable management, SWDP's complete line of cable management products work together seamlessly. Our comprehensive and cost saving offerings maintain industry standard bend radius, manage any size of c able density in both horizontal and vertical pathway configurations. Complete organization of cables, cords and fiber optic cable products. Various manager offerings for both single sided and double sided architecture. 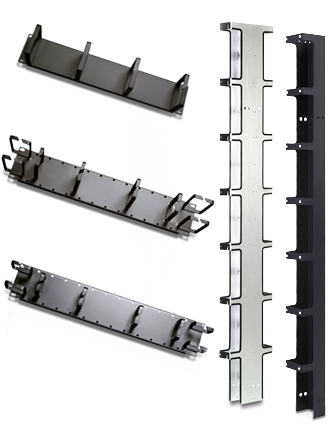 19" & 23" rack mounted horizontal cable managers that incorporate front and rear organization.